Dan and I arrived back home from our vacation to swoop Tessa up and cuddle her all day! While we were gone, she managed to cut three or four teeth in three days while we were gone. I talked last post about Tessa meeting her milestones and while I enjoy being a part of them even when they can be wonderful and frustrating (example: teething), I feel like we dodged a little bit of a “parenting” bullet here. 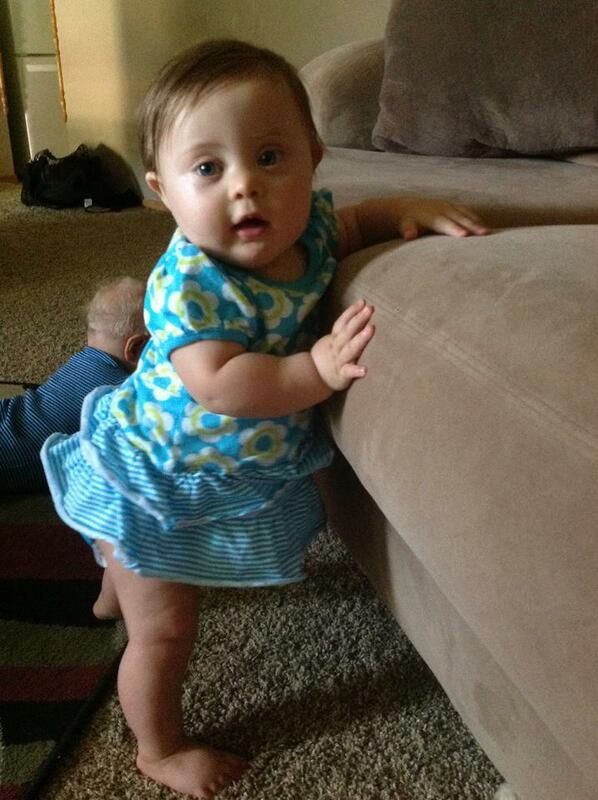 Her motor development as well as physical strength are sharpening as she gets close to her first birthday. Here are some things that have been happening since our last post. 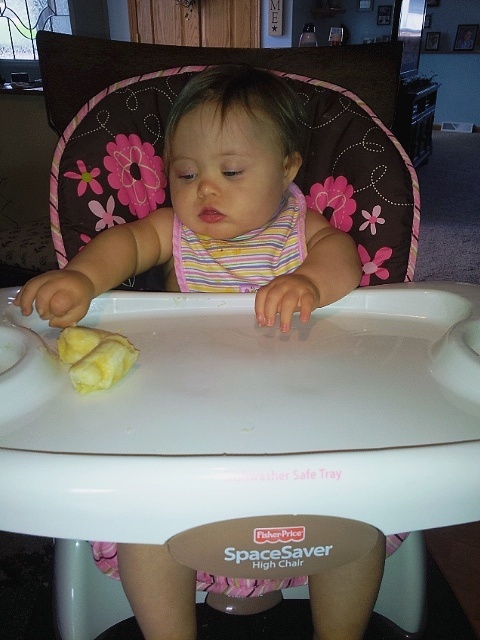 I was reading on Noahsdad.com that I need to put things on Tessa’s tray that are easier for her to pick up and still safe for her to eat. 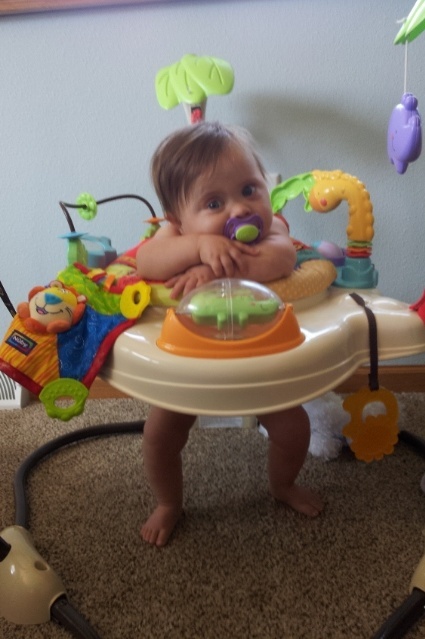 She has yet to develop her “pincher grasp” so large, soft items are working best! Thanks Noahsdad.com! 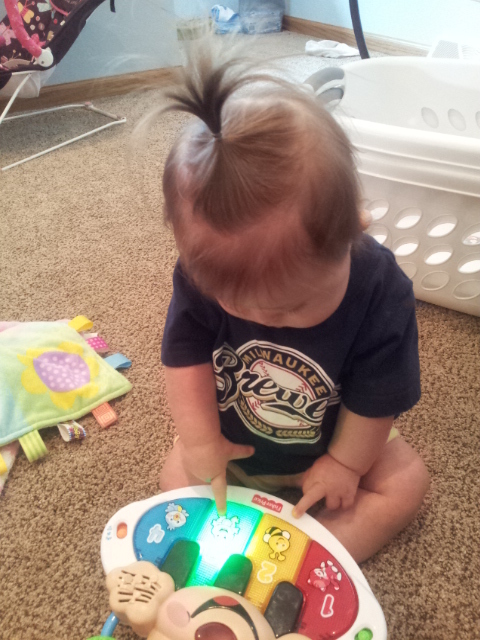 While we were gone, her aunt and uncle taught her this little trick! 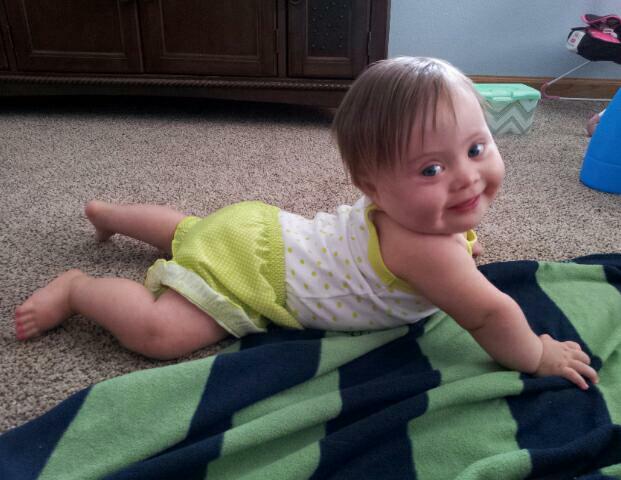 Her shoulder strength has greatly improved, and she is able to hold herself up for a little while! 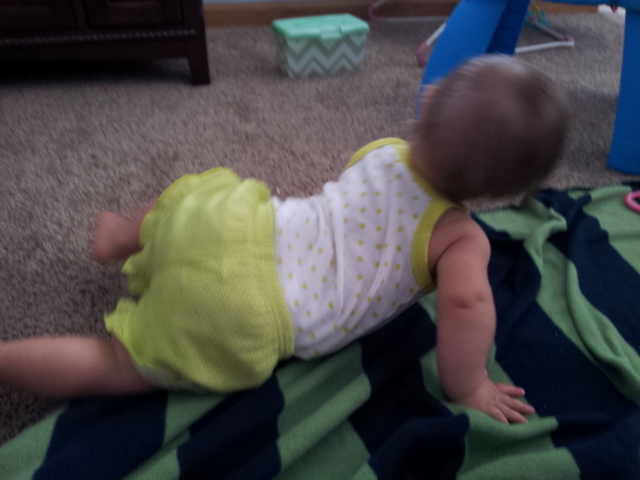 Blurry, yes, but you can see that Tessa is trying so hard to get into new positions without just falling over. 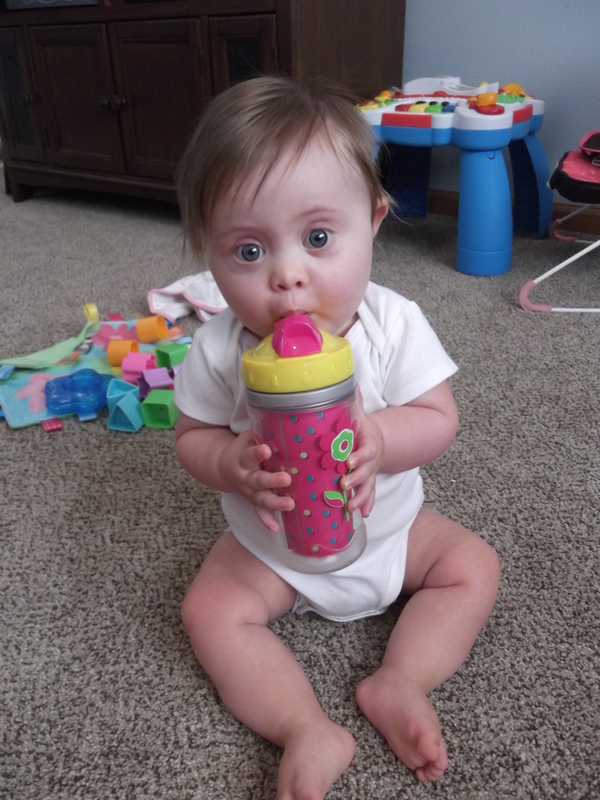 She is drinking from her sippy pretty much on her own. 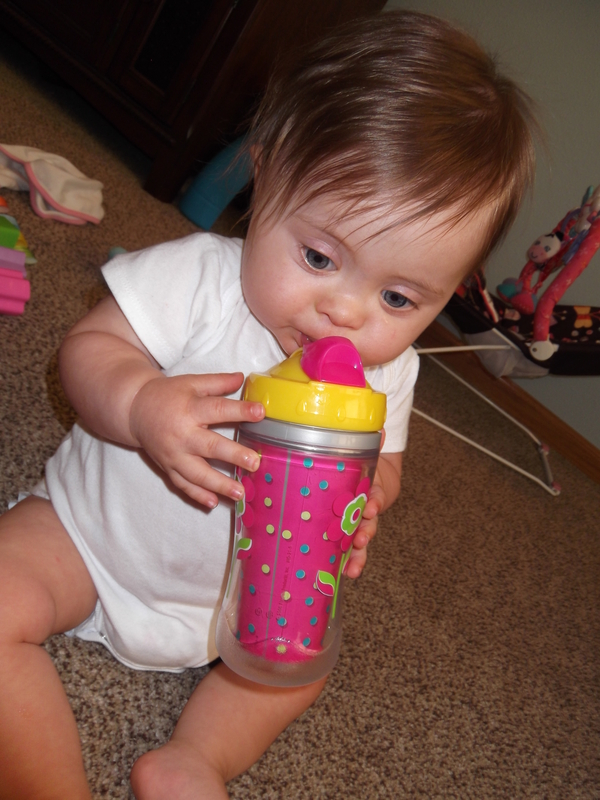 She needs a sippy with a straw to help maintain tongue control and to strengthen her oral development. It took no time at all for her to start doing this! Please keep your eyes peeled for the launch of our Kickstarter video to help raise funds for the children’s book I am writing. There, you can pledge any amount of money and receive great incentives! I’ve been informed by our publisher that the illustrator is currently working on our project! You can look here for details or you can look at www.kickstarter.com after the launch of the video! More details will follow as I get them!